The International Energy Agency has produced a report, called “Re-drawing the Energy Climate Map” which looks at measures to deal with global carbon emissions. The report only looks at the energy sector, the biggest contributor to global emissions. (It did not look at aviation). The IEA said, as they said last year, that two-thirds of existing fossil fuel reserves cannot be burned if global CO2 emissions are to be held within the projected danger threshold of a 2C rise. They also say climate change could pass a critical level if the world waits until 2020 for the planned comprehensive UN deal to cut emissions. The IEA authors believe governments will find it easier to take smaller focused measures than to shift their entire economies to clean energy systems – and they hope competitive advantage to nations that can save more energy and cut emissions cheaply will be motivation for governments to act. This report comes at the same time as announcements of massive worldwide reserves of shale oil. It will not be possible to burn these, for many decades to come, without catastrophic climate impacts. The world is not on track to meet the target agreed by governments to limit the long term rise in the average global temperature to 2 degrees Celsius (°C). Global greenhouse gas emissions are increasing rapidly and, in May 2013, carbon-dioxide (CO2) levels in the atmosphere exceeded 400 parts per million for the first time in several hundred millennia. The weight of scientific analysis tells us that our climate is already changing and that we should expect extreme weather events (such as storms, floods and heat waves) to become more frequent and intense, as well as increasing global temperatures and rising sea levels. Policies that have been implemented, or are now being pursued, suggest that the long-term average temperature increase is more likely to be between 3.6 °C and 5.3 °C (compared with pre-industrial levels), with most of the increase occurring this century. While global action is not yet sufficient to limit the global temperature rise to 2 °C, this target still remains technically feasible, though extremely challenging. To keep open a realistic chance of meeting the 2 °C target, intensive action is required before 2020, the date by which a new international climate agreement is due to come into force. A sticking plaster solution for climate change has been proposed by the world’s top energy think tank, the International Energy Agency (IEA). It says climate change could pass a critical level if the world waits until 2020 for the planned comprehensive UN deal to cut emissions. In the meantime, it recommends some short-term measures. These include action on energy efficiency, coal-fired power stations, and fossil fuel subsidies. The IEA authors believe governments will find it easier to take smaller focused measures than to shift their entire economies to clean energy systems. The agency repeats its warning that two-thirds of existing fossil fuel reserves cannot be burned if emissions are to be held within the projected danger threshold of a 2C rise. It wants immediate major investment in carbon capture and storage technology to enable more fossil fuels to be used. But this technology is years behind schedule and still untried in power stations at industrial scale. The report, “Redrawing the Energy Climate Map“, appeals to politicians’ self-interest by dangling a carrot of competitive advantage to nations that can save more energy and cut emissions cheaply. Its latest tactic offers by 2020 to reduce emissions by 3.1 gigatonnes of CO2 equivalent (3.1 Gt CO2-eq) at what it says will be no net economic cost. Energy efficiency is the bedrock of the approach (49%) with recommended energy performance standards in all countries for lights, heating, and appliances. Setting standards is a proven way of reducing energy use and saving consumers costs in the long term, but new standards are typically resisted strongly by manufacturers wishing to continue profits from current models. More than half the projected savings can come from the buildings sector, the report says. Limiting the use of old polluting coal-fired power stations is another idea, which the IEA says will also combat air pollution. New plants cost money, though, especially if they are the most efficient type that the IEA recommends. Halving methane releases from upstream oil and gas operations by 2020 is feasible at affordable cost, the report says. Methane releases produced 1.1 gt CO2 equivalent in 2010. The last of the four stop-gap solutions proposed is already in line with a resolution adopted by the G20 countries – the partial phase out of fossil fuel subsidies. This should be accelerated, the IEA says. Dirty fossil fuels receive $523bn a year in subsidies – six times more than clean renewables. This policy will prove controversial as removal of subsidies tends to provoke a sharp political response, but the report points out that the policy is attractive to national treasuries looking to cut budgets. The report notes that the growth in China’s emissions has been among the lowest for a decade as renewables have grown and carbon intensity targets begin to bite. Emissions in the US are 200 million tonnes down, thanks to a switch to gas from coal, bringing emissions down to the levels of the mid-1990s. But emissions in Japan are up 70 million tonnes following the Fukushima nuclear accident. Overall, global emissions rose 1.4% despite the economic slowdown. On current trends, the world is moving further away from its target of limiting global temperature rise to 2C, the report says. The document only looks at the energy sector, the biggest contributor to global emissions. Other recent positive measures towards tackling climate change have been the agreement between the US and China to phase out HFC gases and a growing international pact to limit pollutants like black carbon, which settles on snow and makes it absorb more heat. The Energy Information Administration estimated there were some 345 billion barrels of “technically recoverable” shale oil reserves in 41 countries. “The reserves are one thing, but the ability to scale up the production for those reserves is another thing, which is not as straightforward in many parts of the world as it has proved to be in the US,” said Jan Stuart, head of energy research at Credit Suisse in New York. Shale oil and gas reserves are expected to have a huge impact on the world’s energy markets. A recent report by consultants PwC said that shale oil “has the potential to reshape the global economy, increasing energy security, independence and affordability in the long term”. 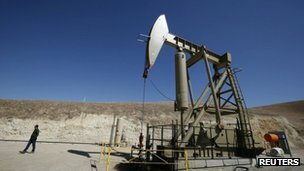 Last month the International Energy Agency (IEA) said that a steeper-than-expected rise in US shale oil reserves would mean the US would change from the world’s leading importer of oil to a net exporter over the next five years. The International Energy Agency (IEA) has today released a major new report warning that urgent action is required before 2020 to curb global greenhouse gas emissions if the world is to have any chance of limiting average temperature increases to two degrees Centigrade. 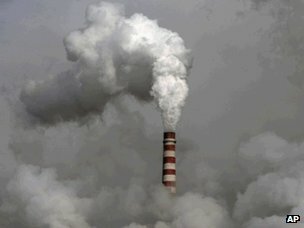 The report, entitled Redrawing the Energy Climate Map, argues that, despite progress in the US and EU to reduce greenhouse gas emissions and a slowing of emissions growth in China, global carbon emissions still rose 1.4 per cent in 2012, putting the world on track for 3.6 to 5.3 degrees of warming by the end of the century. The report calculates that delaying action to address climate change risks will lead to higher costs for the energy industry as climate impacts become more severe and the imperative to decarbonise becomes more acute post 2020. The report sets out four policy recommendations that it argues will result in no net cost while cutting global emissions eight per cent by 2020 against a business-as-usual scenario. It outlines how more ambitious energy efficiency standards and financing schemes for buildings, appliances and transport could deliver around 1.5 gigatonnes of carbon emissions savings, while targeted action to phase out the least efficient coal-fired power plants, reduce methane emissions from the oil and gas industry, and partially phase out fossil fuel subsidies can all help cut emissions at no net cost to the fragile global economy. The report was broadly welcomed by green groups, although some critics argued more ambitious action was required, particularly on the phasing out of fossil fuel subsidies. Fred Krupp, president of the US Environmental Defense Fund, said the report represented an important intervention from a group that has traditionally been broadly supportive of the global oil industry. “It’s especially noteworthy to have such a report coming from the International Energy Agency, which was founded 40 years ago to facilitate international coordination among oil-consuming countries,” he said. “The fact that the IEA is issuing this report is a clear reminder that the real energy-related threat to economic prosperity is no longer an oil shock, but a climate shock. However, the report came on the same day as the British government launched a new independent review, tasked with exploring how to maximise growth from the country’s oil and gas industry. The review will be led by Sir Ian Wood, who will undertake a full analysis of the industry and recommend measures to further enhance the recovery of fossil fuels from UK reserves. “Although investment levels are rising strongly, the UKCS is one of the most mature basins in the world and therefore faces unprecedented challenges,” said Energy and Climate Change Secretary Ed Davey. “Our offshore infrastructure is getting older, and we are seeing a decline in the rate of exploration and in the amount of oil and gas that is being recovered. Global greenhouse gas emissions have reached a record high, meaning the world remains on track for catastrophic climate change – that’s the conclusion of the latest report from the International Energy Agency (IEA). The Paris-based energy think-tank said emissions rose 1.4% in 2012, putting the world on a path to global temperature rises of between 3.6 and 5.3 degrees. But the agency said that tackling climate change didn’t need to come at economic cost. ..and this means that it would not be economic to develop large amounts of the world’s existing oil and gas supplies – specially if they are not yet proven or are expensive to extract. Gland, Switzerland – Two thirds of all proven fossil fuel reserves must stay in the ground if the world is serious about avoiding dangerous climate change, according to the International Energy Agency in its World Energy Outlook 2012 report released today. “The IEA’s conclusion reflects sound science. CO2 emissions from burning fossil fuels are destabilizing our climate. We cannot burn fuels like coal and oil indefinitely without paying the price in the form of climate instability, droughts, heat waves and super storms. The IEA has done the only responsible thing by prominently highlighting this in its report,” says WWF’s Global Climate and Energy lnitiative leader Samantha Smith. “This scientific and blunt assessment should be clearly heard by all countries, investors and the fossil fuel industry itself. This is not only about stopping all new large-scale fossil fuel exploration, such as those in the Arctic; this is about retiring existing dirty energy infrastructure as well, and it is the price to pay to avoid global climate disaster. We quickly needed to transition our energy economies if we are to avoid a climate catastrophe,” she says. Three years ago, the world’s governments committed to staying well below 2 degrees global warming (compared to pre-industrial temperatures) in order to limit dire climate change impacts on biodiversity, food security and poor and vulnerable communities. Already today, with global warming still below 1 degree Celsius, freak weather events such as super storm Sandy are creating havoc with coastal communities; record droughts this year have severely impacted yields of essential food crops and led to food crisis; and the Arctic Ocean has seen yet another record low in sea ice cover, from which it is unlikely to recover. Smith says that governments, investors and industry must heed the warning by the IEA. “The IEA is clearly saying it is not too late for climate action, and its strong message to all of us is that we need to act right now,” she says. WWF is calling for massive new, global investments in clean renewables and a corresponding phase out of investment in fossil fuel projects. “We fully support the IEA’s finding that investments in clean renewables and energy efficiency must expand substantially in nations that have already joined the renewable energy journey, and must start immediately in those nations that are lagging behind,” says Smith. WWF notes that a few developed countries, such as Germany and Denmark, are already doing their part. Others need to both radically increase their domestic investments and invest in a fair transition to renewables in low income countries. WWF’s global director of energy policy, Dr Stephan Singer, says the call by the IEA to cut fossil fuel subsidies and redirect the cash into clean renewables, clean energy access and energy conservation is absolutely essential. WWF shares the fundamental concern of the IEA that recent commitments to curb fossil fuel subsidies were just empty words by the G20, the club of the world’s mighty nations. In 2011, fossil fuel subsidies grew by 30% compared to 2010 and now amount to more than half a trillion USD, or the equivalent of more than twice the GDP of Indonesia, he says. “If those subsidies were redirected into pro-poor programs or renewable energy access, world governments could still stay below 2 degrees warming and provide access to clean and sustainable energy for the three billion people worldwide who have no or only dirty energy,” says Singer. Immediate actions and policies are needed before 2017 to prevent dangerous lock-in of global fossil fuel infrastructure, otherwise all the allowable CO2 emissions will be locked-in by the existing energy infrastructure, making the 2 degree objective unachievable. “On this we agree with the IEA,” he says. Fossil fuel infrastructure includes new fossil-based power stations and continued exploration of unconventional fossil resources such as shale gas and shale oil, tar sands and deep sea oil. WWF also supports the IEA warning of the danger of using freshwater for fossil fuel production in a world where many countries are already experiencing droughts and water scarcity. The IEA notes that freshwater use for energy production is likely to double in the next 20 years unless fossil fuels – particularly shale gas development – and unsustainable biofuel uses are curbed substantially.